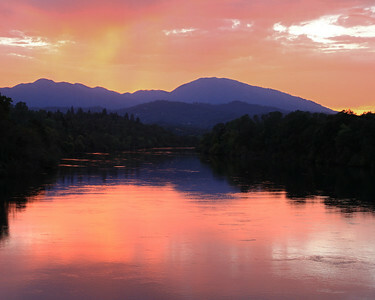 Sunset over the Sacramento River from the Diestelhorst Bridge, Redding, CA with Shasta Bally (6,000 ft) looming in background. 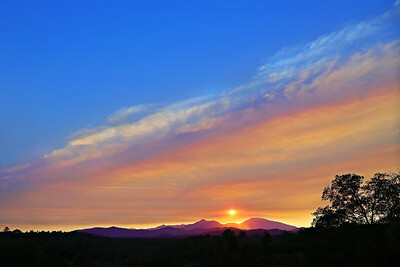 A spectacular sunset hangs over Shasta Bally and the mountains west of Redding, CA. The white steeple of a church stands out in the foreground. 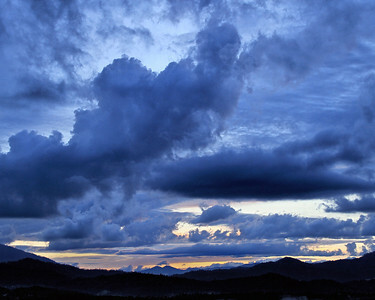 This panoramic image may be enlarged up to 10 feet wide to add drama to any room. 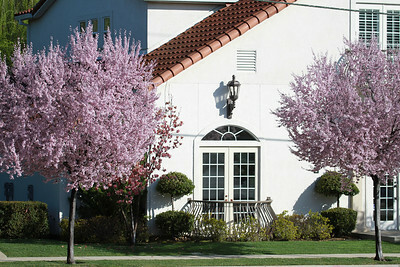 This image is cropped from the full panorama version. A spectacular sunset hangs over Shasta Bally and the mountains west of Redding, CA. The white steeple of a church stands out in the foreground.